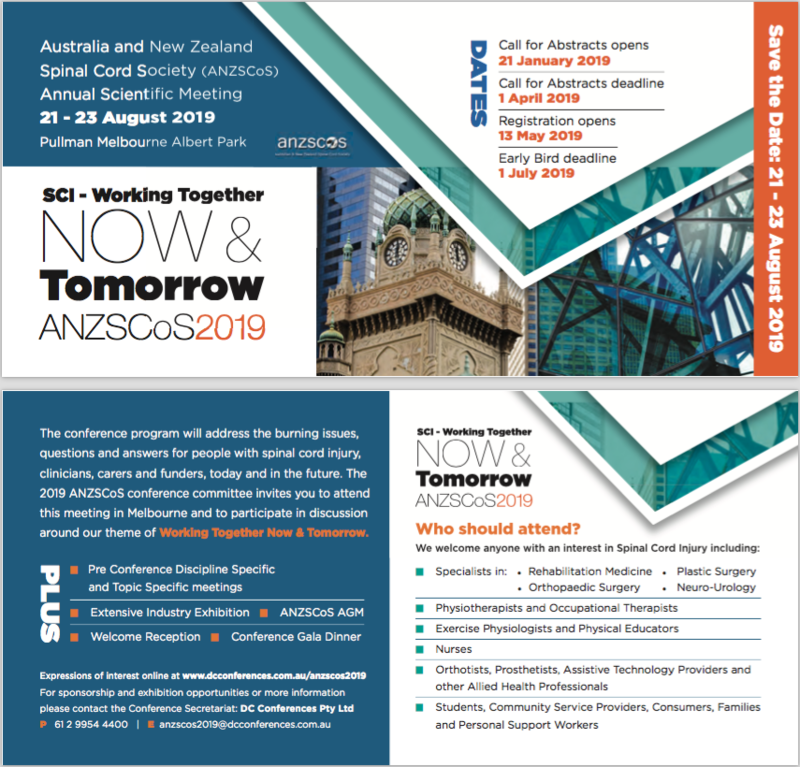 On behalf of the Australian and New Zealand Spinal Cord (ANZSCoS) Organising Committee I extend a warm invitation to attend the 2019 ANZSCoS ASM to be held from the 21 - 23 August 2019 at the Pullman Melbourne Albert Park. Leading on from the very successful 2017 Conference in Brisbane and hosting the International Spinal Cord (ISCoS) conference in Sydney in 2018 we continue to grow this conference and welcome anyone with an interest in Spinal Cord Injury to attend. The conference provides a great forum of exchanging knowledge, research and networking with your peers and industry.The theme of the conference is SCI - Working Together Now & Tomorrow. We have a great line up of speakers to present the latest advances in SCI from Australia and around the world to ensure you keep up to date with all the latests developments. We look forward to meeting you in Melbourne.